Family is a pretty amazing thing to have, and it does not have to be just your relatives. A family is a group of people who are always there for one another, which is why many people have friends that they consider family. A person can count on their family. This is why, whenever you need help, you turn to your family members. When you learn that one of your family members has been arrested, you know what you need to do. You know that you are going to bail him or her out of jail, but you will need help. You can get expert bail help from the family here at Bulldog Bail Bonds in Modesto. We provide all of our clients with caring, expert help because we are a family too. We are a family-owned company, and have been since our founding 30 years ago. As a family-owned company, we have a greater understanding of how important bailing your loved one out of jail is to you. We know you want to help your loved one, and so we do everything that we can to assist you. We start working for you the moment you talk to us, and we do not stop until your family member is back home, safe and sound. Unlike our competitors, we do not abandon our clients. We will always be by your side to answer questions and guide you through this. Let our caring agents show you how simple and easy bail bonds are. 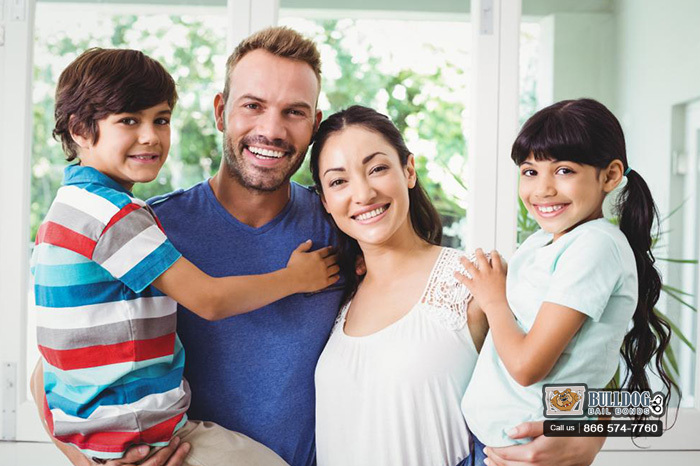 With their expert help, you will have your family member out of jail in no time. No will not have to face this situation alone. If you want to talk to a bail agent now, call 1-866-574-7760 or click Chat With Us.